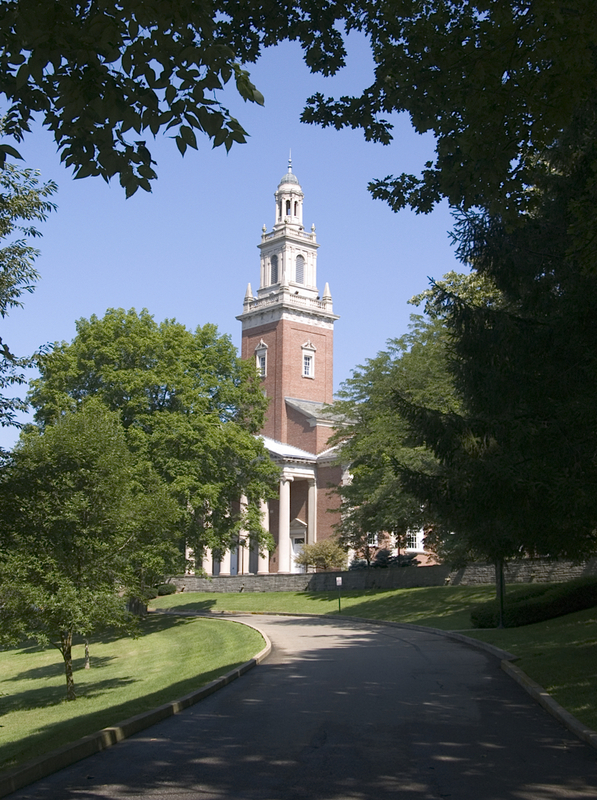 Denison University is a selective liberal arts college of about 2,200 students. 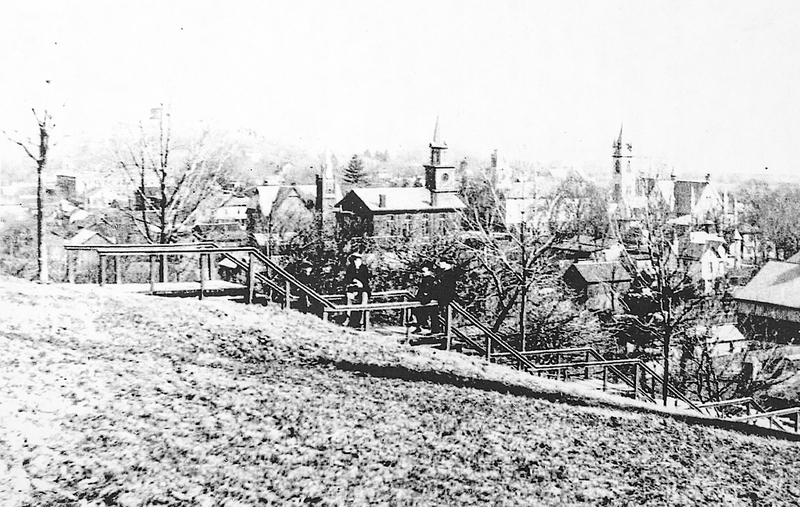 Denison overlooks the Village of Granville from its prominent position on a ridge line just north of the village historic district. 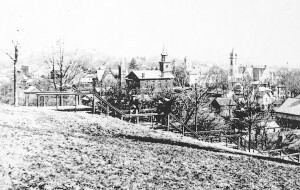 What was to become Denison was founded in 1831 as the Granville Literary and Theological Institution with the goal of providing a "Well Directed Course of Education." The school has retained that holistic mission of a liberal arts college. As Denison’s website notes "a Denison education is not just for a living but for a life." With this in mind the college requires all students to live on campus to help them develop the diversity of skills engendered by a residential educational experience. Early view from Denison University looking toward the southeast over the village. The presence of Denison University contributes to village life in a number of ways. Denison opens many of its events to local residents. These can range from art openings, to sporting events, to concerts, and speakers on a wide variety of topics and issues of the day. The students who arrive each August lend a pleasant energy and activity level to the community. Information for this article came from G. Wallace Chessman’s book Denison: The Story of an Ohio College, and the Denison University website.